I have been experimenting a bit more with High Dynamic Range (HDR) processing. Although I feel like it can easily be overused, the technique definitely has its merits. In the shot, above, the strong lights inside the store would have made it difficult to get the exposure right. I also tried to adjust the detail levels and tones to add some feeling of grit to the image. Below is another shot. 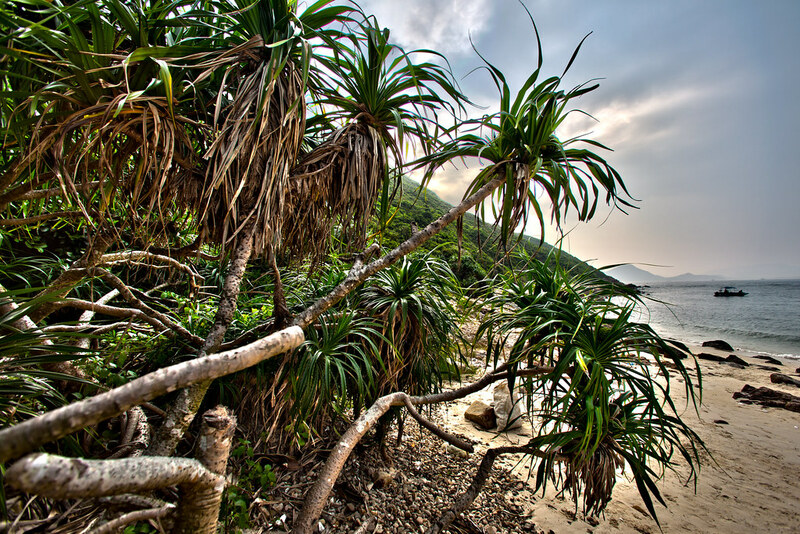 This time from a small beach near Sui Kung Peninsula. I didn't bring a tripod, so the shot is a little rough around the edges. Still, I like how I was able to even out the exposure across the composition.